The woman was one of the people in the suspect vehicle, according to ICE. 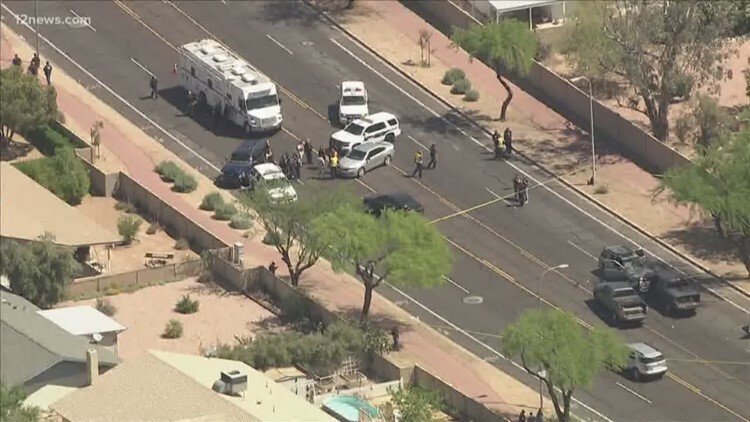 AHWATUKEE, Ariz. - Officials still haven't released all the details on the shootout between federal agents and alleged human smuggling suspects last week, but Phoenix police identified the one woman who was killed in the incident as 29-year-old Theresa Medina-Thomas. According to information given by Immigration and Customs Enforcement last week, Medina-Thomas was one of five people in a suspect vehicle when Homeland Security Investigations agents were trying to serve a federal arrest warrant on two suspects connected to a human smuggling investigation. They did not release information on how Medina-Thomas was related to the investigation. 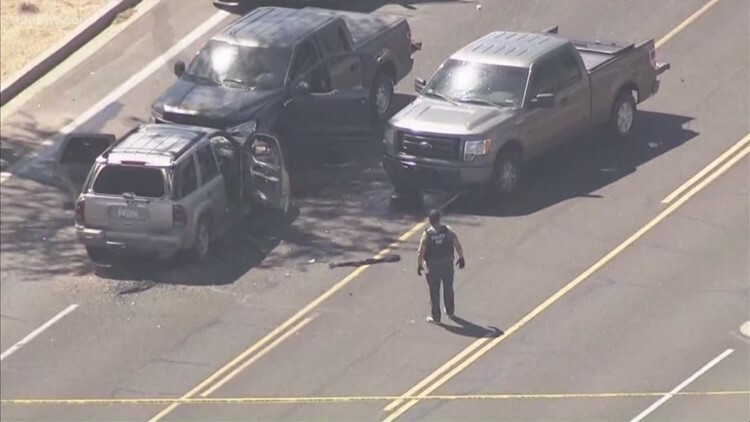 Police told the staff of Phoenix City Councilman Sal DiCiccio the federal agents force-stopped the suspect vehicle and the suspect in the front passenger seat opened fire with an assault rifle. Two agents were hit with gunfire. The shootout between agents and the suspects happened on 48th and Kiowa streets, near the Warner-Elliot Loop. Four HSI agents were involved in the shootout and were all transported to the hospital with non-life threatening injuries following the shooting. A witness at the scene told 12 News he heard at least 50 shots. Federal officials have not released other information related to the incident.